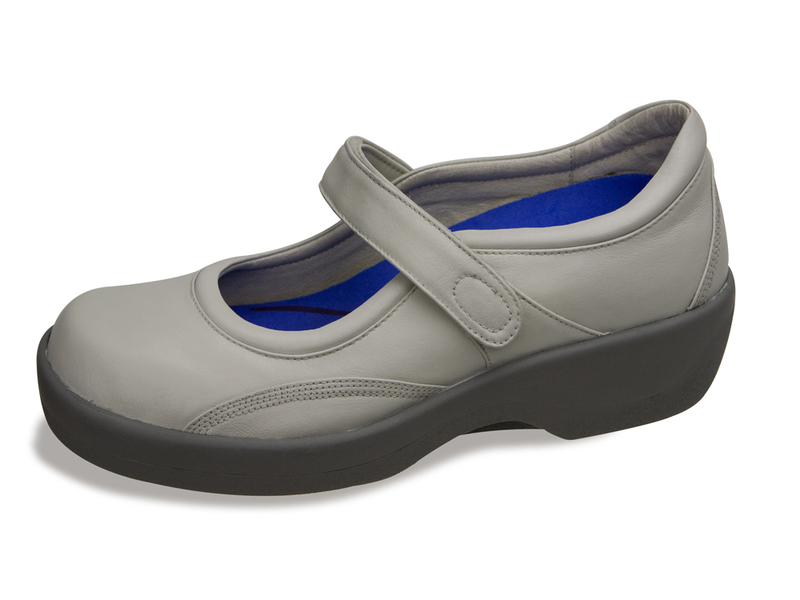 The "Apex Ambulator Mary Jane" in taupe is designed for people with diabetes, foot arthritis or other foot problems such as bunions or hammertoes. The B6400w taupe mary jane is brought to you by Aetrex Shoes and limits stress at the areas of the foot most susceptible to discomfort. Click to see all of the Apex Mary Jane colors. Apex Mary Jane is often recommended for diabetes, arthritis or anyone seeking a shoes with maximum comfort. 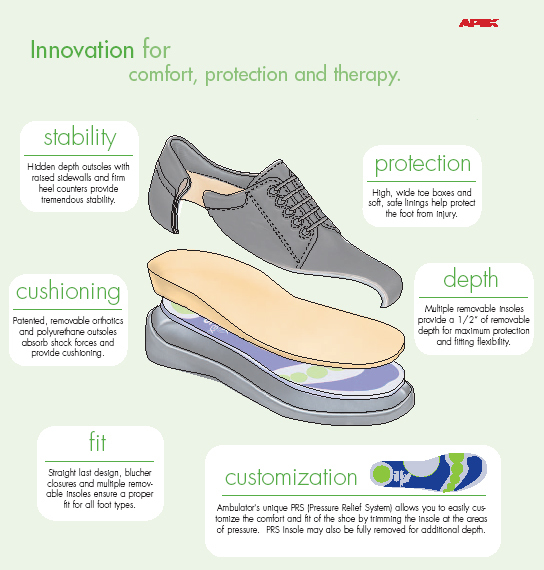 The unique Hidden-Depth Rocker Soles and state-of-the-art removable PRS™ (Pressure Relief System) provides an equal distribution of pressure and unsurpassed comfort by delaying impact at heel strike, supporting the longitudinal arch, and dramatically reducing stress on the ball-of-the-foot, all which have been clinically proven to provide stability, reduce stress, and help facilitate walking.